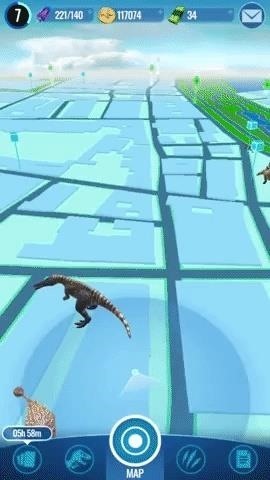 Players hunt dinosaurs via a map of their surrounding area as determined by GPS. Instead of throwing balls, players pilot a drone above the dinosaurs and shoot darts at the beasts to collect their DNA, with more accurate shots yielding more DNA. Once players collect enough DNA, they can breed the dinosaur in the Creation Lab. Players will also encounter Supply Drops (the game's version of Pokéstops) to gather in-game items and currency. 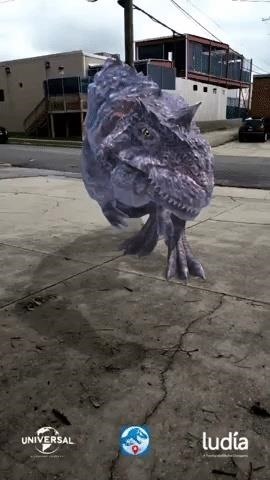 Like in Pokemon Go, players can also evolve their dinosaurs into high-caliber beasts. However, in keeping with the source material, Jurassic World Alive also facilitates cross-breeding, where players can combine compatible dinosaurs to create hybrids, which can, in turn, be cross-bred with other non-hybrids to produce Superhybrids. After players have four dinosaurs in their collection, they can battle other players by launching battle mode. Once ready to fight, players are matched with challengers at a comparable ranking based on trophies earned in the game. Players earn trophies by winning battles, but they can also lose them when defeated. The game also takes a page out of Niantic's in-app purchases playbook, with certain in-game items available for purchase with in-game currency, which can be earned via gameplay or purchased with real money. For instance, incubators, which can be acquired through gameplay or purchased, yield resources after a set amount of time (whereas eggs in Pokémon GO hatch Pokémon based on steps). Ludia also adds their twist on monetization with a VIP subscription. 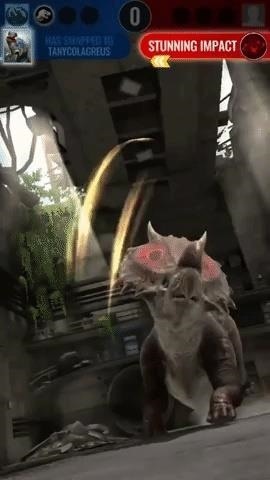 For $9.99 per month, players can access perks like an extended battery for their drone, enabling them to hunt dinosaurs from a greater distance. The game is the first to use the Google Maps API. Announced earlier this year, Google Maps API is a platform that enables developers to easily build location-based games using Google Maps location data. Games from the Walking Dead and Ghostbusters franchises are scheduled to follow. 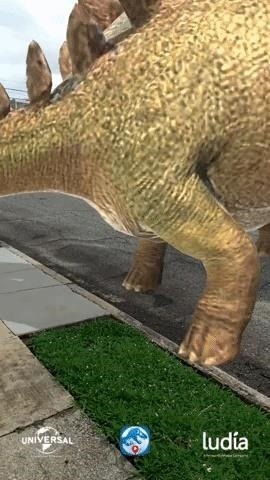 "With Google Maps data integrated into Unity, we were able to focus our time and energy on building detailed virtual experiences for our users to find virtual dinosaurs in the real world," said Alexandre Thabet, CEO of Ludia, in an announcement regarding the platform. The game arrives just in time for the marketing blitz for Jurassic World: Fallen Kingdom, the latest film in the franchise, which releases into theaters June 22. Will it have the legs to stand on its own, or will the game be doomed to extinction among other Pokémon GO pretenders? Well, as we know, life...finds a way.